I’ve made four successful and one unsuccessful pot seed purchases over the past five years. Purchasing from Breeders Boutique was easy and I received my seeds within 15 days. 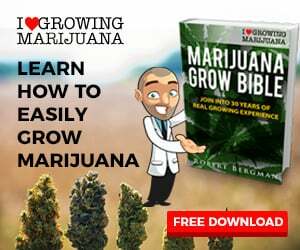 Same success buying from the I Love Growing Marijuana website. Ordering and paying was easy, I received my seeds in 20 days. Plants grown from a seed will reach their full potential possible using your soil, nutrients, water, light and timings. Your clones will be replicas of your best plants. Plants may look slightly weird after reversion. Don’t panic, they’re fine, they are growing through the buds that started forming.